Jason Huang has more than 18 years of experience in pharmaceutical industry including 4 years of Medical reviewer experience in the Center of Drug Evaluation of Taiwan during early 2000s. He is a trained medical doctor with specialty in Family Medicine. He is all a master of law with specialized in Torts and Intellectual properties. He was the medical Director of Abbott Laboratories of Taiwan affiliate for 4 years covering QA, pharmacovigilance, Medical Information and clinical development for nutrition and pharmaceutical business then. After leaving Abbott, he joined J&J since 2008 staring from country head of the Global Clinical Operation Taiwan, and then the cluster head of Global Clinical Operation head of Korea, Taiwan and Malaysia. Before joining BRIM, he was the regional therapeutic area expert responsible for the trail allocation strategic decision of Asia Pacific (Australia, China, India, Korea, Thailand, Taiwan, Malaysia and Hong Kong ) supporting the Immunology, Infectious Disease and Vaccine therapeutic areas of JNJ. Dr. Ruffolo is the retired President of Research and Development, and retired Corporate Senior Vice President, of Wyeth Pharmaceuticals (now Pfizer). In that role, he managed an R&D organization of over 9,000 scientists globally, with an annual budget in excess of $4 billion. Prior to joining Wyeth, Dr. Ruffolo spent 17 years at SmithKline Beecham Pharmaceuticals (now GlaxoSmithKline) where he was Senior Vice President and Director of Research, Worldwide. Before joining SmithKline Beecham, Dr. Ruffolo spent 6 years at Lilly Research Laboratories where he was Chairman of the Cardiovascular Research Committee. During his career in the Pharmaceutical Industry, Dr. Ruffolo played a significant role in the discovery of a number of marketed products, including Coreg (carvedilol; also known as Kredex and Dilatrend) for the treatment of congestive heart failure, Requip (ropinerole) for Parkinson's Disease, Dobutrex (dobutamine) for the management of acute congestive heart failure and Teveten (eprosartan) for hypertension. Carl has more than 41 years of pharmaceutical industry toxicology/pathology experience at companies such as Millennium, Searle/Monsanto/Pharmacia, and Procter & Gamble. 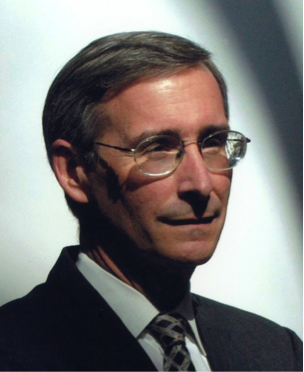 Carl is a past Editor of Veterinary Pathology (2008-2014) and Toxicologic Pathology (1996-1999) and past President, Society of Toxicologic Pathologists (1990-1991). He was elected as a Distinguished Member of the American College of Veterinary Pathologists in 2011 and presented the Lifetime Achievement Award by the Society of Toxicologic Pathology in 2013. He has played a central role in the development of many drugs such as Celebrex, Velcade and Entyvio (vedolizumab). Conrad has over 33 years of work experience in biotech and major pharmaceutical companies such as Sanofi-Synthelabo and AstraZeneca with expertise in statistics and data management. Wen Chyi has extensive background and experience in pharmaceutical research as a scientist, manager and leader. She has a total of more than 33 years of industrial experience in drug metabolism and pharmacokinetic aspects of drug discovery, development and life cycle management. She has made contributions to the development of brand-name drugs such as cefprozil, cefepime, transnasal butorphanol, videx, bvaraU, irbesartan, irbesartan/HTCZ, pravastatin, dasatinib, ixabepilone, muraglitazar, abatacept, saxagliptin, dapagloflozin, Brentuximab vedotin and vedolizumab. She was also responsible for more than 100 IND submissions. She is currently the VP of Global Drug Metabolism and Pharmacokinetics in Takeda. Before joined Takeda in 2010, Wen Chyi has worked for Bristol-Myers Squibb for 24 years.